Have you checked out the current challenge over at The Cat's Pajamas? It's all about the holidays. We can all use a little holiday help on getting a head start on your holiday card making. I die cut out the frame and the inside of the frame is a mirrored cardstock to mimic a mirror The cat was cut out in white and completed with a heat embossed sentiment. I thought it would be a nice touch to add a few peeking eyes with my white gel pen for an added element. This makes for a quick and easy Halloween card for anyone! 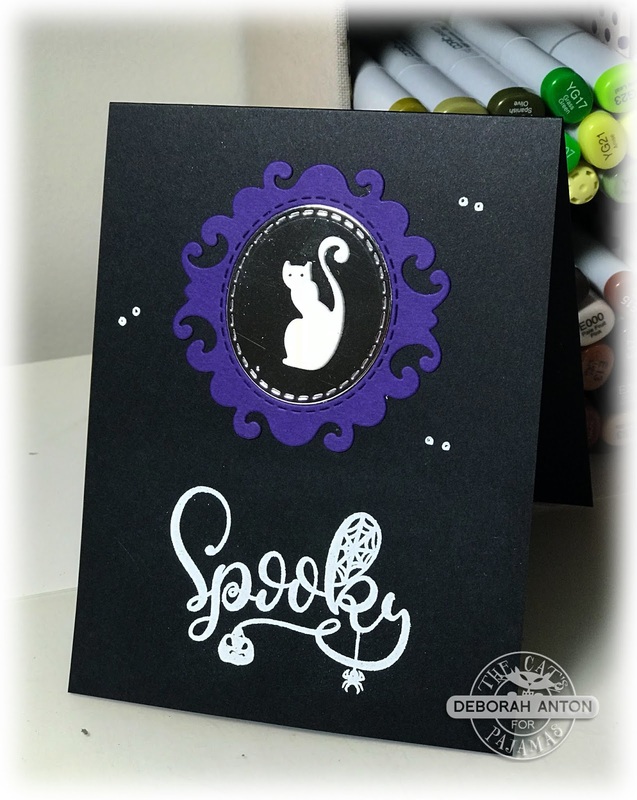 Be sure to stop by the TCP blog to see all the Kitty Cat Packs creations! Thanks for stopping by and have a great day!